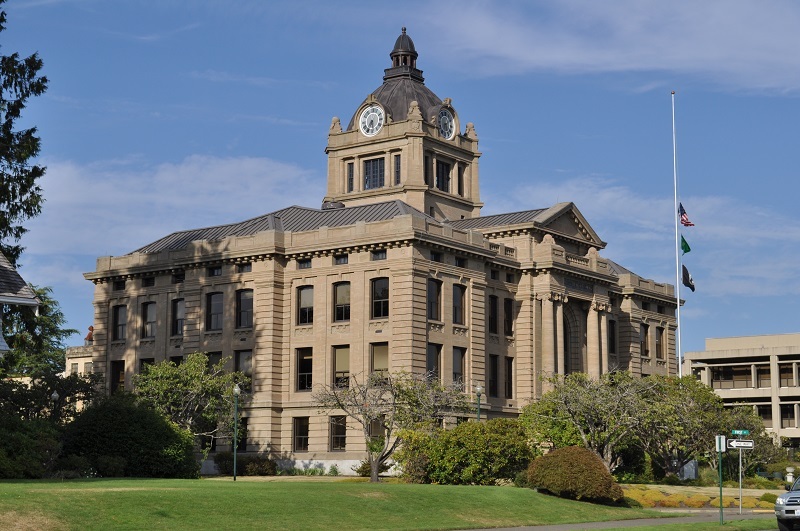 In about two years time, Grays Harbor County has cycled through four elections administrators. The current elections administrator, Buffy Hatcher, has announced she will leave the position on Nov. 30. On Monday, Nov. 16, the commissioners approved hiring a new elections administrator, but county Auditor Vern Spatz says the issue of high turnover isn’t a result of the people who have been hired into the position, the issue is the limited resources the position has to function. “The common reason for all of them is that it’s a very technical, high-stress job with a very steep learning curve, but it is manageable and it is doable. However, the common thread is that when the commissioners took away the voter registration support, the stress caused by having to do two positions with only one person has been the primary reason for all of them leaving, in one way or another,” Spatz said. Spatz has continued to push for additional support for the election administration position, requesting earlier this year to hire a halftime voter registration employee. The commissioners instead allocated $4,500 for the auditor’s department to hire a temporary employee to ease the stress, but that solution is short-sighted, Spatz said. “It’s a full-time position, and by the time you get a temporary in and get them trained up, you’re out of money for the $4,500 and you have nobody for the rest of the year and you’re starting all over again,” he said. Spatz’s department, like other departments operating from the financially strained general fund, is feeling the stress of the county’s reduced spending. Even on Monday, the commissioners agreed to allow Spatz to hire a new employee for the position, but whereas Spatz had requested to hire into position at a salary as high as step six (in a 10-step pay scale), the commissioners voted instead to allow Spatz to hire Hatcher’s replacement at step one. Keeping the tight budget has put his department in a situation, he warns. Spatz said he plans to redirect his allocated resources to support elections moving forward. “It’s going to have an impact to customer service in licensing and in recordings, and possibly accounts payable,” he said. “The commissioners haven’t finalized their 2016 budget, so I don’t know what kind of impact that will be. It’s very late in the process. By now the commissioners in the past have had some idea of what their budget would look like, but they’re still dealing with four different options. The commissioners on Monday also postponed a hiring request from the auditor for an elections clerk. “I’d like to postpone action on this request because there’s some movement going on in that department and the auditor is looking to reassign some duties, so I would like to wait until we’ve had the opportunity to speak with him,” Commissioner and Chairwoman Vickie Raines said. Commissioner Frank Gordon agreed, saying it wasn’t necessary to decide during that particular meeting. In some ways, this shouldn’t be surprising; county policymakers are tasked with managing scarce resources and so they aren’t going to be eager to spend simply because the election official asks. But given the high turnover of in recent years – and the pressing needs occasioned by a presidential election year – you’d think there would be a little more cooperation on staffing the elections office. It’s a problem that many local offices worry about – and one, unfortunately, that Grays Harbor is going to have to endure. 5 Comments on "Turnover in Grays Harbor Blamed on Workload, Lack of Resources"
Agree, I really like your blog. And would be interested in finding out how I could help support you grow this and get your message out! Good Blog and website too. Maybe Grays should change something in the process? ?